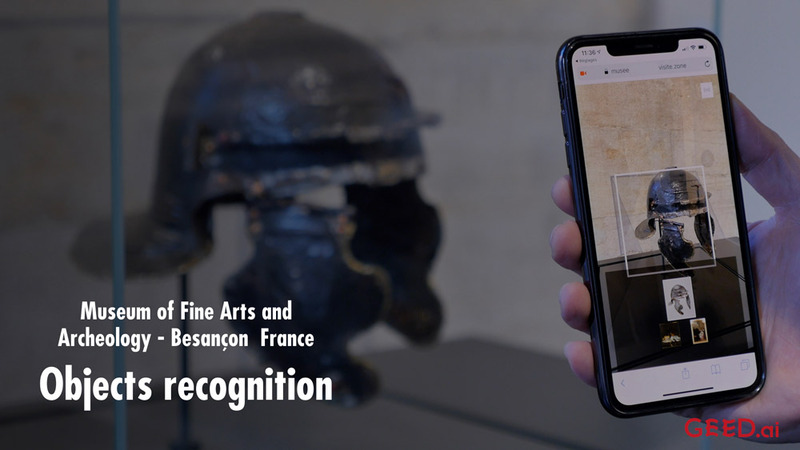 For its reopening, the Museum of Fine Arts and Archaeology from Besançon (France) wanted to offer a digital visit companion available on visitors’ tablets and smartphones. The objective was also to offer specific interactive mediation for temporary exhibitions available on site touch tables. The display of the museum’s events from the agenda on the digital signage screens was the last point to be taken into consideration for the platform. The visit companion must allow the discovery of the nearby works through indoor geolocation and image recognition, but also provide content adapted to the disability of each person, and in their language. The object and artwork labels in the museum are available in French. The translation of all labels in other languages and their display into the visiting companion was an important problem to be solved without impacting the ease of use for visitors. It is necessary to associate the artworks in the museum, their position in space, their labels, the translation of labels and the inventory numbers. 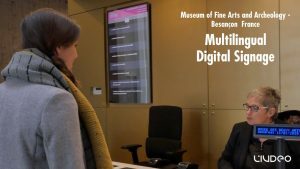 One other issue is represented by the management of app scenarios and associated content deployed on the museum’s interactive kiosks, while adopting cross UX principles between the companion and the kiosks. 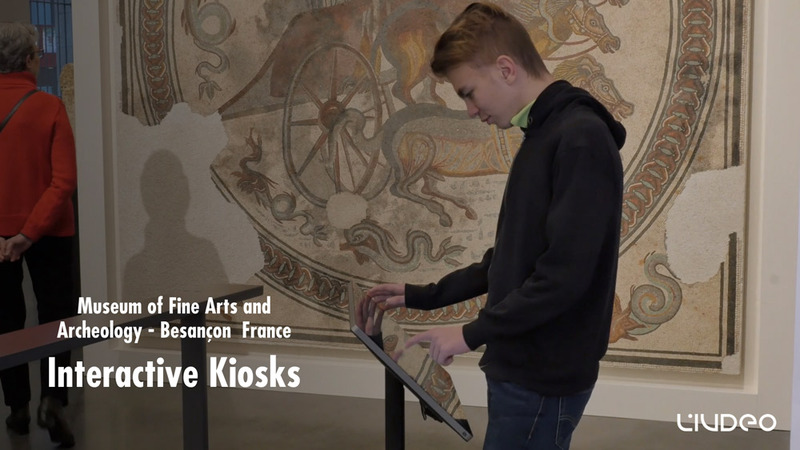 LIVDEO’s answer was to provide the museum with a unified platform for centralized management and unconstrained distribution of scalable application scenarios for the visiting companion, interactive kiosks and digital signage screens. 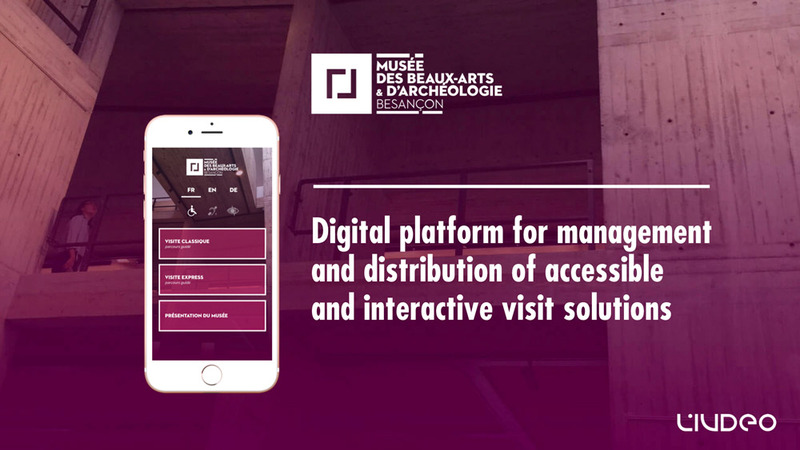 The GEED platform allows the museum’s team to manage all the visit scenarios distributed in the museum from a unique cloud web based tool. From the GEED BackOffice, mediation teams can adapt and create visit tours for the visiting companion, create specific, adapted interactive scenarios for the museum’s touch terminals, and manage the events to be displayed on the digital signage screens. LIVDEO has also developed an innovative, automated methodology for managing artworks’ associated labels. This import avoids double entry of information (in inventory databases and in a backoffice). An additional module manages the automatic translation of general public’s labels into the languages defined in the visit companion. Finally, from the imported corpus of works, GEED.AI (image recognition module) performs the machine learning process for all the artworks in a few minutes (for about 1200 artworks). The ML model is then automatically available in the museum local network on a dedicated GEED.AI server box, as close as possible to the visitors. 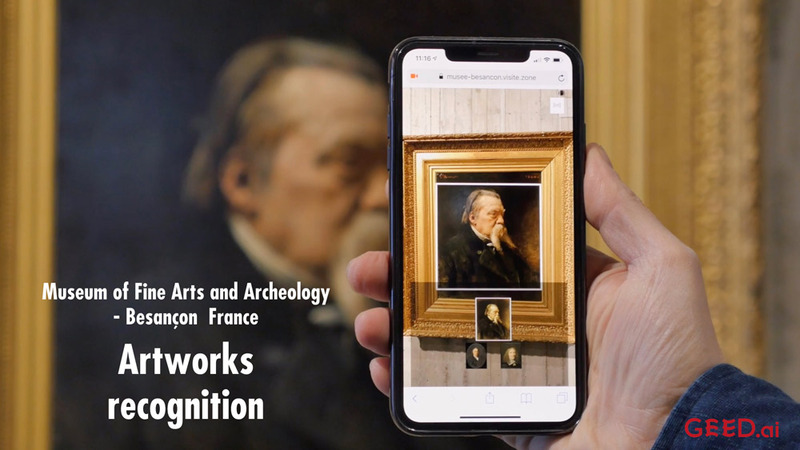 The artwork image recognition and object detection features are available on the visiting companion from the museum’s local Wifi network, taking advantage of the GEED.AI edge computing box, for instant results. No internet access our cloud ML software are required for visitors, machine learning or the detection phase. The “I pick” visit mode becomes dynamic and fun. 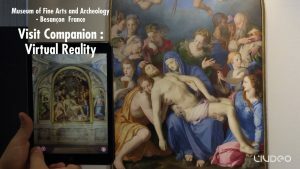 It allows the detection of all types of artworks in the museum: paintings, sculptures, objects in volume. The main innovative features of the unified GEED platform are : the ease of management for tours and scenarios creation for the mediation team and the no constraints ease of use of the mobile app companion : no prior download from an “App Store” and no Internet connection needed. The access to the mobile app is a two-step action : Connect to wifi and display the mobile app on user’s web browser. The deadlines for the execution of our mission at the Besançon Museum of Fine Arts were very short. From the start of the project to its release, only 4 months were necessary. Knowing from the beginning of the project this strong time constraint to complete our mission, we had to propose an organized work methodology, and planned in time, with associated phases of production and deliverables. Experienced in AGILE methodology, we have proposed this methodology to the museum’s teams from the very beginning of the project. It allows to have from the beginning of the project, a global vision of the deadlines and deliverables with a predefined back-planning. For this we use the Atlassian project management suite, with two important elements for us. On the one hand, the “Confluence” module, which makes it possible to document our interventions, produce meeting minutes and create a documentary database of technical specifications relating to the project. On the other hand Confluence is linked to “Jira”, another module that allows project monitoring in connection with meeting notes, the assignment of tasks to be performed with deadlines and the monitoring of the hours spent on each task assigned to team members. Jira also allows to create and follow new software development domains, with collaborative work by team members. For the application definition phase we use Figma, an online visual prototyping tool, which allows us to quickly obtain a view of the final visual aspect of the applications. Figma is use to represent a “wireframe” view of the application to understand “user flow”. This tool is collaborative and accessible online. It is possible to post comments on the various screens. Easy to use, it does not require any advanced computer skills. Thus, from the same access, Livdeo’s teams and the museum’s mediation will have the same view on the the application’s graphic progress (UX/UI). Finally, a google team drive storage has been specifically created to allow access and management of content, texts and translations for each of the participants. This cloud drive storage is secure, and only Livdeo and the museum teams have had access to it.